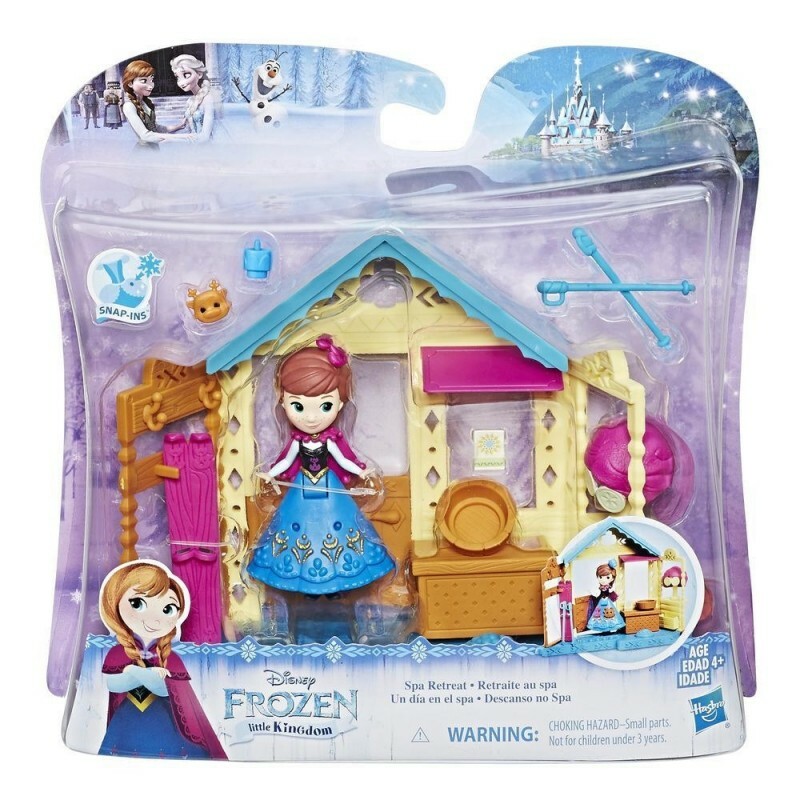 Kids can imagine their own Frozen fairytales with this playset that includes movie-inspired fashions, Snap-ins pieces for decorating, and fun accessories. The Spa Retreat playset is all about rest and relaxation for Anna. Set includes a cape for Anna, spa-themed accessories, and 3 Snap-ins pieces. Bench opens to store Snap-ins pieces. This set and the Ice Garden Gazebo (sold separately) both connect to the Royal Chambers playset (sold separately) so kids can build out their Frozen world! 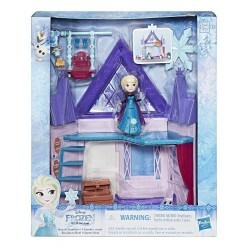 • Includes doll, cape, 4 accessories, playset (2 pieces), and 3 Snap-ins pieces.